Taiwan currently has 7 free trade zones, six sea ports and one airport: i) Keelung Port FTZ, ii) Suao Port FTZ, iii) Taipei Port FTZ, iv) Taoyuan Air Cargo Park FTZ, v) Taichung Port FTZ, vi) Anping Port FTZ, vii) Kaohsiung Port FTZ. With over 10 years of experience with business incorporation worldwide, Healy Consultants can help our Clients to establish a company in the Taiwan Free Trade Zone of their preference. Companies are allowed to have up to 40% of its total employees composed of foreign workers. An in person interview will also be required when applying for the Taoyuan Air Cargo Park FTZ. The FTZ is especially suited for entities that are dealing with storage, logistics, assembling, rallying, packaging, simple processing, freight forwarding, transshipment, and transport. This port is suitable for steel shipping, ship building and biotechnology businesses. 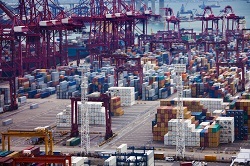 This port is suitable for multinational businesses which are involved in warehousing and logistics. This port is suitable for businesses that involve automobile logistics and chemical oils. This free trade zone is most commonly used for high value add electronic components and IT industries. This free trade zone is most commonly used for green energy industries. There is also an accessible transportation and it is located near various industrial zones and Tainan Airport.